Chinese paramilitary police keep watch in Tiananmen Square next to the Great Hall of the People, the site of the National Congress of the Chinese Communist Party, in Beijing, November 10, 2012. In March of 2013, Xi Jinping was named the President of the People’s Republic of China at the 12th National People’s Congress. At the time, I was working for China Development Brief, an independent Chinese NGO started by the British journalist Nick Young in 1996 to promote constructive engagement between China and international development organizations. I remember that month well because we were busy preparing for the launch of our directory of independent Chinese NGOs and a report on public advocacy in China. That event was a celebration of the substantial growth in independent civil society organizations over the last decade. It was also a coming out party for China Development Brief, after a period of assuming a low profile after Nick was denied entry back into China in 2007 for reasons that have never been made clear. Nick’s English-language website had stopped posting content a short time afterwards. To promote a new NGO directory (our first since 2005) and advocacy report, we held a day-long Civil Society Forum in the U.S. Embassy’s American Center. We invited over a hundred representatives from independent Chinese NGOs, foreign NGOs, diplomats, scholars, and media, and asked several Chinese NGOs to speak about the significance of the directory and their advocacy experiences in China. We were anxious about the event. It would take place just 10 days after the close of the annual meeting of the National People’s Congress during which Xi Jinping had been formally appointed President, completing his coronation as China’s new leader after being appointed General Secretary of the Chinese Communist Party in November 2012. Given the heightened security presence, we had trouble getting the directory printed. One printing company pulled out when the police showed up unannounced at their office, so we approached a company located further outside Beijing that agreed to publish it. The copies didn’t show up at our courtyard office until the last minute. Despite our fears, the Forum was a success. It was standing room only, there was plenty of food, the simultaneous interpreters performed admirably, and the police kept their distance. Or, at least, didn’t announce their presence. That spring now seems like a distant memory. Little did we know that two years later, the environment for civil society would change dramatically, that a number of the Chinese NGOs that attended the Forum would be subjected to harassment and detention while some left the country for safer havens, and that China’s government would enact a draconian new law which formally placed foreign NGOs under the supervision of the police. Since China opened its doors to the outside world in the late 1970s, thousands of foreign not-for-profit NGOs have carried out programs and activities in China, contributing to China’s development and engagement with the rest of the world. These NGOs run the gamut from trade and commercial groups like the U.S.-China Business Council and European Chamber of Commerce to universities like NYU and Stanford, foundations like Mercator and Ford, think tanks, orchestras, the Olympic Committee, and the NBA. No one really knows how many of these organizations are operating in China, but the numbers are substantial. In 2005, China Development Brief published the first directory of international NGOs in China, listing a selection of some 200 such groups. Since then, Chinese and foreign scholars have estimated the number of foreign NGOs that either have an office in China or carry out programs there to be anywhere from 1,000 to 6,000. However, there is not a reliably comprehensive count. For many years, the vast majority of these NGOs operated quietly in China in a legal grey area. Many are unregistered and work in China through local partners, while others are registered as commercial enterprises. That all changed with the passage in April 2016 of the Law on the Management of Foreign Non-Governmental Organizations’ Activities in the People’s Republic of China (hereafter Foreign NGO Law), which went into effect on January 1, 2017. The law is the first comprehensive regulation of its kind covering all foreign NGO activity in China, and came out in a year when much of China’s nonprofit legislation was being rewritten. Prior to the law, the Chinese government had taken halting, incremental steps to regulate foreign NGOs. The first came in April 1989 in the form of the Provisional Regulations for Foreign Chambers of Commerce, which allowed chambers of commerce to register with the Ministry of Foreign Economic Relations and Trade. Foreign NGOs that were not chambers of commerce had to wait another 15 years when the 2004 Regulations for the Management of Foundations made its appearance. This regulation was issued by the Ministry of Civil Affairs, the government agency responsible for regulating “social organizations” (China’s official term for NGOs), and was primarily intended to promote the development of Chinese foundations. Yet it included for the first time language on the registration of representative offices for “foreign foundations.” Foreign foundations and NGOs were allowed to register a representative office in China under a stringent “dual management system” in which an NGO first needed to get approval from a Professional Supervisory Unit (PSU) in a similar field (essentially a government sponsor) before it could register with Ministry of Civil Affairs. The Foundation Regulation had a very limited impact on foreign NGOs: only a handful succeeded in registering, primarily because most were unable to find a PSU. The fortunate few included operational NGOs like the World Wildlife Fund, China Medical Board, and the World Economic Forum, and grant-making foundations like the Bill and Melinda Gates Foundation and Li Ka Shing Foundation. By 2015, the number of foreign NGOs that had registered a representative office numbered a mere 29 out of the hundreds of foreign NGOs with offices in China. In early 2010, as part of a series of local policy experiments intended to improve the regulations of NGOs, the Ministry of Civil Affairs launched a pilot program to register foreign NGOs in Yunnan. The “Yunnan Province Provisional Regulations Standardizing the Activities of Foreign NGOs” required foreign NGOs to “file documentation” (bei’an) about all their partners, funding, and activities in Yunnan with the provincial Civil Affairs and Foreign Affairs departments. By December 2010, around 140 foreign NGOs had registered under this regulation and by 2013, Ministry of Civil Affairs leaders were touting the Yunnan regulations as a model for national policy. This was also the year Xi Jinping came to power, and with his ascension came an abrupt change in how NGOs would be regulated. Xi Jinping’s rise to power coincided with a new governance approach that focused on strengthening national security and “governing the country according to law” (yifa zhiguo) as ways to rejuvenate Communist Party rule. Already in the spring and summer of 2013, a major crackdown on activists, lawyers, bloggers, and journalists was taking place to head off potential threats to social stability. By the end of 2013, a National Security Commission headed by Xi Jinping was established. In early 2014, reports that foreign and Chinese NGOs working in Tibetan areas were being closed down began to surface. In April 2014, the National Security Commission held its first meeting and a month afterwards ordered a national survey of foreign NGOs operating in China. During the 2014-2016 period, a major anti-corruption drive launched by President Xi gathered momentum, as did the repression of NGOs, human rights and labor activists, and lawyers. Several foreigners who had been working for Chinese and foreign NGOs were evicted in 2015 for working on improper visas, and in January 2016 a Swedish citizen, Peter Dahlin, appeared on state-run television and “confessed” to violating Chinese law and “[hurting] the feelings of the Chinese people” through his work with an NGO that supported Chinese human rights lawyers, a group the government called an “illegal organization that sponsored activities jeopardizing China’s national security.” These troubling developments were accompanied by the passage of several new security-oriented laws one after another in 2015 and 2016: the Counter-terrorism Law, National Security Law, the Foreign NGO Law, and most recently the Cybersecurity Law. The first sign of the Foreign NGO Law came in December 2014 with the announcement that the National People’s Congress Standing Committee was deliberating the first draft of the law. That announcement caught many observers by surprise. Previously, the Ministry of Civil Affairs had taken the lead on drafting regulations for foreign NGOs, using the Yunnan regulations as a model. In the case of the Foreign NGO Law, a draft of a national law was being proposed, not just a draft of a ministerial regulation like the one in Yunnan. More importantly, the announcement of the draft law was being made by a Vice-Minister of Public Security, who stated that the registration and management authority for foreign NGOs would now be vested in the Ministry of Public Security, not the Ministry of Civil Affairs. He noted that the regulation of foreign NGOs had been raised as an urgent issue at the Third Plenum in October 2013 and the Fourth Plenum in October 2014, and that the Ministry of Public Security had been working with the Ministry of Civil Affairs and other departments as early as April 2014 on researching and drafting the law. The mention of April is significant because it coincides with the first meeting of the National Security Commission and suggests that the decision to make the Ministry of Public Security responsible for regulating foreign NGOs was made at that meeting. The first draft of the Foreign NGO Law was not made public, but an English translation quickly circulated. That draft was quite draconian. It gave foreign NGOs only two ways to operate legally in China. One was for the NGO to register a representative office, which required getting approval from a PSU working in the same field as the NGO, and then applying for registration with provincial Public Security departments. For NGOs that did not want to establish a representative office but only wanted to carry out projects and activities in China, the second option was to register for a “temporary activities” permit lasting one year. Applying for a permit would also require jumping through a series of hoops, namely getting approval from a PSU, collaborating with a Chinese partner, and then applying for a permit from the relevant Public Security department. The draft law stated that foreign NGOs working outside these two channels would be operating illegally. There are a number of signs that point to a clear national security focus behind the drafting of this law. One was the transfer of registration and management authority from the Ministry of Civil Affairs to the Ministry of Public Security. Another was the Ministry of Public Security Vice Minster’s mention of April 2014, the same date as the first meeting of the National Security Commission, as the time when research and drafting on this law began. A third can be found in the language of the law, which has a stronger security emphasis than the Yunnan regulations. Where the Yunnan regulations have a short section gently reminding foreign NGOs that they will be held accountable to the regulations, the law spends two sections laying out the powers of Public Security bureaus in enforcing the law, and the legal consequences of violating provisions in the law. The faint of heart may want to gloss over Articles 41 and 42, which state that “where public security organs discover behavior they suspect violates the provisions of this Law” they have the authority to question the NGO staff and other relevant individuals, enter the premise or site of the NGO’s activities to conduct an inspection, copy documents and materials, shut down premises, seize property, and freeze bank accounts. At the same time, parts of the law are influenced by the Yunnan regulations developed by the Ministry of Civil Affairs. The law uses the same term as the regulations, “foreign NGO,” to refer to “…non-governmental, non-profit or public interest organizations that have been legally established overseas.” It preserves the “dual management” system, which requires foreign NGOs to get approval from a PSU, although the PSU plays a somewhat different role in the Yunnan model. The law also incorporates a similar “document filing” (bei’an) system for foreign NGOs to report on their activities, partners, and funding. We can also learn something about the law by examining its evolution from the first draft to the final version that was passed by the National People’s Congress in April 2016. As is the norm, the law went through three drafts before its passage. The second draft, issued in early May 2015, was the only one publicized to solicit comments from the public. The revisions made in the later drafts reflect the drafters’ recognition that certain provisions would prove administratively burdensome, and changed them to streamline the process. The most significant example was the simplification of procedures for NGOs carrying out “temporary activities.” In the first and second drafts, NGOs would first need to get approval from a PSU, and find a Chinese partner to collaborate with. After that, it still needed to apply for a “temporary activities” permit from the relevant Public Security department and wait for approval. After receiving public comments from NGOs, academics, universities, and foreign governments and businesses about the draft, the Ministry of Public Security dropped the requirements for PSU approval and Public Security approval for a permit in the final version of the law, and only required that NGOs work with their Chinese partner to “file documents” about their “temporary activity.” In other words, in the final version of the law, NGOs carrying out “temporary activities” only had to inform the relevant Public Security department about the activities but not wait for approval—though it never makes clear what precisely counts as a temporary activity. In other instances, the Ministry of Public Security realized that certain procedures and requirements either overlapped with or conflicted with procedures and requirements in other laws and regulations. The first draft, for example, prohibited NGOs from having branch offices—in addition to their main representative offices—but when it was discovered that some science and technology NGOs already had branch offices, the final version of the law allowed for branch offices “specified by the State Council.” Similarly, the first draft only allowed NGOs to register one representative office in China, but later drafts removed that limit although no language was inserted explicitly stating that NGOs could register more than one representative office. Later drafts also included language that “overseas schools, hospitals, natural sciences and engineering technology research institutes, or academic organizations” engaged in exchanges with their Chinese counterparts should do so “in accordance with relevant regulations of the State”—which seems to mean that academic exchanges will be subject to existing laws but not to the NGO law, although the language is not entirely clear on this point. The Ministry of Public Security also removed articles in the first and second drafts that allowed foreign NGOs to set up domestic NGOs, realizing that this could be used as a loophole giving foreign NGOs a channel for working covertly through these domestic NGOs. Given that domestic NGOs are regulated by the Ministry of Civil Affairs through a different set of laws and regulations, these articles would also have raised questions about which ministry would be responsible for supervising these domestic NGOs. The amount of time it took to get from the first draft to the passage of the law also suggests the complexity of the task. It took a total of nearly 16 months, 11 of which were spent digesting the many public comments on the second draft. By comparison, the Counterterrorism Law took 13 months, the National Security Law eight months, the Charity Law six months, and the Cyber Security Law 15 months. The lengthy drafting was likely due to several factors: the unfamiliarity of the Ministry of Public Security in regulating such a diverse set of organizations; the challenges it faced in processing the public comments; the need to coordinate with Ministry of Civil Affairs and other relevant agencies on the revisions; concerns about the draft law raised by foreign NGOs, businesses, and governments; and perhaps even infighting among agencies and groups with different views on the law. The way the law has evolved makes it clear that Xi Jinping’s rise to power and his concerns about China’s security environment were the major drivers behind the law’s establishment and timing. In recent years, Chinese leaders, perhaps learning from Russia, Egypt, and other countries, have paid close attention to accusations of foreign NGO involvement in the “color revolutions” in the former Soviet Union and in the Arab Spring uprisings, and are worried about foreign NGOs funding social forces in China that may eventually metastasize into an organized opposition. In addition, the time spent on the drafting and revisions suggests the law is being taken seriously by Chinese leaders as a governance tool to strengthen “law-based administration” (yifa xingzheng), recognize the role played by foreign NGOs in China’s development, and strengthen their regulation. In this sense, the law can be seen as part of Xi Jinping’s broader “governing the country according to law” (yifa zhiguo) campaign to improve Party discipline and governance over both the Chinese state and society. By strengthening regulation of a group of social actors associated with foreign values and agendas, the law is intended to provide legal channels for those actors to carry out their activities while also strengthening the authorities’ ability to collect information on these actors and better protect China from perceived external threats to its sovereignty and social stability. But another intent of the law is to require more transparency and accountability on the part of the implementing authorities, and the Ministry of Public Security in particular. By providing a detailed framework, procedures, and responsibilities for regulating foreign NGOs, the law seeks to limit the discretionary power of the Ministry of Public Security even while it expands its administrative authority and resources. I realize that this last point is not widely shared by many critics of the law who see the law giving the Ministry of Public Security unlimited power over foreign NGOs. While I am not a fan of this law, the critics’ view ignores the fact that Public Security organs and local governments already have the authority to close down many of the foreign NGO projects and offices in China that are unregistered or improperly registered. In 2000, the Ministry of Civil Affairs issued the “Interim Regulations for Banning Illegal NGOs” that provided guidance to local authorities who were unclear about how to deal with unregistered or improperly registered Chinese and foreign NGOs working in their jurisdiction. As Deng Guosheng points out, local authorities were given wide discretion over how to implement this regulation that was much more ambiguous than the Foreign NGO Law. Over time, an unwritten understanding emerged among authorities to adopt a hands-off approach towards these “illegal” NGOs unless they posed a real threat to social stability or national security. 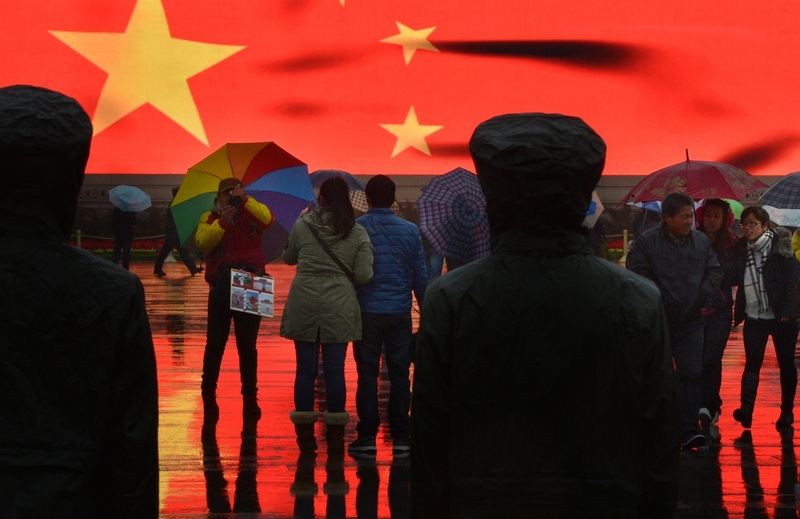 If China’s leaders really wanted to make life difficult for foreign NGOs, all they would need to do is issue a national directive or law to ensure that this regulation was enforced. But that would be like using a cudgel whose appearance would scare away many foreign NGOs. Instead, the leadership chose to use a more surgical instrument by creating a law that required foreign NGOs to be transparent about their partners and funding, but also placed limits on the discretionary authority of Public Security and other government agencies. The intended effect, in my view, was not to drive NGOs from China but to corral them into officially-sanctioned areas and away from more sensitive areas working with grassroots NGOs working on rights protection, advocacy, religion, etc. To a large extent, this was also the effect of the Yunnan regulations. Getting the intent of the law right is important because the Ministry of Public Security will be judged on its performance in implementing the law so that it achieves its intended effect. If the intent of the law is truly to make life difficult for foreign NGOs and encourage them to leave the country, then the Ministry of Public Security has an easy job to do, and there is little that NGOs can do to shape implementation. But if the intent of the law is to ensure that foreign NGOs are able to work legally in officially-sanctioned areas, then the Ministry of Public Security has its work cut out for it and foreign NGOs have some leverage to shape the law’s implementation by monitoring and holding the Ministry of Public Security and other government agencies accountable for implementing and enforcing the law in an effective and impartial manner.